Shofur connects you to the most charter buses in Edmonton Canada. 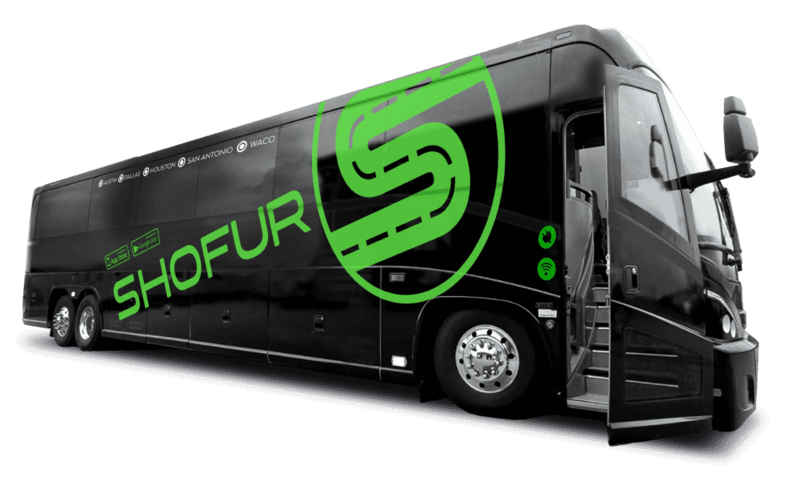 Whether you need local shuttling, daily service, or need to travel across Canada or into the United States, Shofur will serve you in finding the perfect bus! Shofur is open 24/7 and our dispatch is available at all times to help you in any way after your reservation is completed. We provide an easy and convenient process to rent a charter bus for your next bus trip. With customer service representatives available 24 hours a day and seven days a week, there will always be someone to help you plan your trip. We also gives you the opportunity to choose from a variety of options for your bus rental depending on your needs. A small group may be happy on a mini-bus or a larger group may want a luxury bus. With experienced chauffeurs steering the buses to over 120 locations in the United States and Canada you are bound to reach your final destination safely. For the Canadian adventurers, Edmonton is the perfect city to add to your must-see list. With a variety of natural sites, including the Northern Lights and numerous parks, and educational and entertainment venues, the city has something for everyone to enjoy. Visiting the city in the winter may seem like a cold prospect, but keep in mind that the Northern Lights are only in the sky in the winter months. To see the natural light show of pink and green lights, go outside after midnight and look up to the sky. For comfort, it is a good idea to bring along some hot chocolate and blankets. Elk Island Park is both a famous local and visitor attraction and an important part of conserving the bison population. Because of this, visitors to the park can see wildlife, including coyotes and elk, roaming freely along the prairies and woodlands. If you visit the park in the winter, it is a great spot for cross-country skiing and snowshoeing. Or consider going for a ride in a canoe along water or hiking among the wilderness. The park even provides campsites that are already equipped with the necessities for anyone who wants to spend the night among nature. If you enjoy both nature and history, Fort Edmonton Park is the perfect place for you. This completely interactive park features live actors and real-life experiences focused on the fur trade and the eras of the pioneers in 1885, 1905 and 1920. Go back to the time of the pioneers in 1885 by visiting a historically accurate bakery or pumping your own water to make tea. The 1920's exhibit features a replica of a Midway carnival, complete with a Ferris wheel, carousel and arcade. For an experience combining history and the current Canadian government, consider a visit to the Alberta Legislature building for a tour of the current legislative seat of the Canadian government. Your tour guide will give you information about the art and portraits displayed around the building and provide you the opportunity to view the legislature in session from the public gallery. For even more entertainment, go to the visitor center with its 4D theater featuring a history of Alberta province. Outside the beautiful building, there is even more to do with a wading pool available in the summer months and an ice skating rink available in the winter months. A one-stop place for all of your entertainment, shopping and dining needs is the West Edmonton Mall that is the same size as 48 city blocks. Inside the mall, you will find World Waterpark, the largest indoor waterpark in the world. The waterpark includes over 15 tube rides, a wave pool, an indoor beach and a zip-line that flies over the whole park. For a drier option inside the mall, the Galaxyland Amusement Park features a variety of space-themed rides inside the largest indoor amusement park in the world. The mall also features a movie theater, mini-golf course, casinos and a replica of a pirate ship to explore. Once you have had your fill of entertainment at the mall, browse the over 800 chain and boutique stores for both unique and brand-name finds. All of this walking and activity is sure to make you hungry, so take a walk down the New Orleans themed street with plenty of dining options. Or visit the Chinatown section for authentic food choices and an Asian market. For a combination of nature, history and entertainment, Edmonton is the ideal location for a trip by bus. Even a day trip to the huge indoor mall is enough to entertain the pickiest of travelers.